Notice - there is no tank size limitation for this contest! Site moderators may also participate! The theme of this month's contest is for you to show us your best clean up crew photo. Let's honor and glorify the true work horses of our tanks! Try to capture the perfect shot while utilizing the corals in your tank. Make your clean up crew proud! We have removed the usual nano size restriction in an effort to have lots of participation and fun! For this reason, the contest will be limited to the first 20 entries received. Play with different angles and ideas to make your shot unique. Try to utilize corals, inverts and fish in your tank to get the perfect shot. 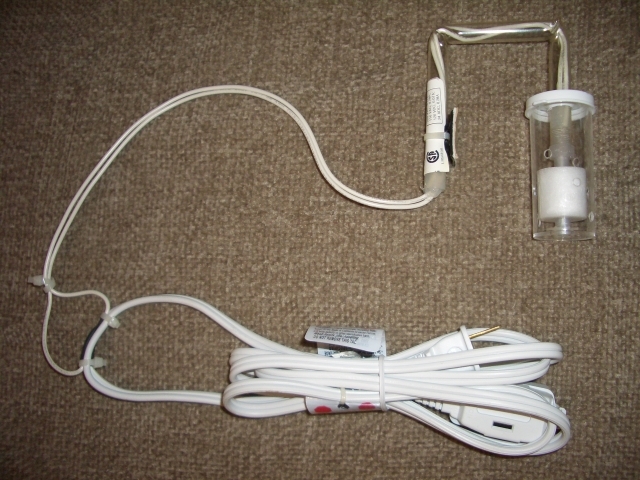 The winner with the most votes at the end of the month will receive their choice of the awesome Seachem package or the auto top-off float switch pictured below. 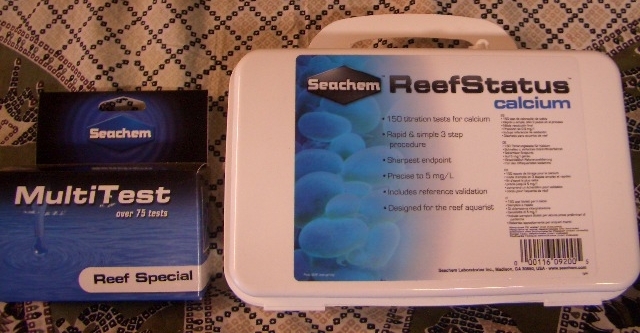 The Seachem package includes a ReefStatus Calcium test kit (150 tests) and a 'Reef Special' multitest kit (75 tests). Due to cheating efforts in past contests, you must have at least 20 posts to enter this contest. The idea is that veteran Nanotankers know that this site will not tolerate cheating. We are a fun and friendly group and we just don't have time for that stuff. Moderators will be watching and following the voting closely. Please do not ask anyone to vote for you. Please do not create new accounts and vote for yourself. Any cheating suspicions will result in an immediate ban/removal from the site. The deadline for submitting your photo is midnight CST June 19, 2008. All forum members will vote on the entries to determine the best photo until midnight CST June 30, 2008. The member with the most votes is the winner. In the event of a tie, the member with the highest post count (the more active member) at the end of the voting period will be the winner. You must be an active member of Nanotank.com and have 20 posts at a minimum before the photo submission date to enter. Please submit only one 800X600 photo from your personal tank. No photoshopping or color altering of any kind is allowed. Nanotank.com will only ship to the continental US. If the winner resides elsewhere, they are responsible for their own shipping. Nanotank.com reserves the right to change/modify/cancel any part of this contest at any time for any reason. Nanotank.com also reserves the right to display your photo or use it in any means it so desires from that point forward. Type June Contest, NT member name in the email subject. Please keep photos at 800W x 600H. We can resize them if need be. Remember - there is no tank size limitation for this contest! I'm in. Come on guys and gals, I need some competition this month. I'll see what I can do. I dont really have a cleanup crew but I'll figure something out. I hope we get a lot of participation with this one! anyways hope we have some great pics on this contest. I'm so stinkin bummed. My wife just lost our camera. Jesse what are you doing sat evening? I'll make you a deal.... let me borrow your camera and I'll let you borrow my clean up crew. I'm in for sure Just now to get my crew together and smiling. Only two more days to get your pics in! Come on everyone! Let's get some pictures in! Don't be shy! my CUC has been hiding lately.... strange. I'm also still trying to get use to my new camera. hopefully I'll be able to get something. Darn! I missed the deadline! Oh well, will there be another contest next month? Yes, keep an eye out in about a week for the details!